Hi, my name is Michele and I'm an Italian music teacher living in London. I'm willing to teach students of all age and level. 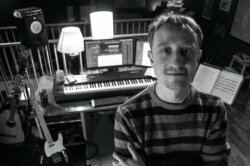 I've been teaching for 15 years to students of any age and level, and been playing and recording professionally for almost 20. My goal is to help anyone feed their passion for music by helping them improve as musicians and instrumentalists. Music can be your life's best friend, it doesn't matter if you want to become a professional musician or just play for passion, I'm here to help. My approach consists of helping the students nourish his/her passion for music and discover together the right path to follow. Every student is different from the other, so i don't use a "set in stone" program, but adapt to his/her needs and together we can create a method that best works out for us. Reply from: Michele: Thank you so much Lara! Working with you is a pleasure!